The selection of the preferred developers and operators for Christchurch’s new Convention Centre Precinct was announced on 7 August 2014 by New Zealand Prime Minister John Key and Canterbury Earthquake Recovery Minister Gerry Brownlee. Plenary Conventions New Zealand, a consortium of proven international infrastructure firm Plenary Group, and experienced local firms Ngai Tahu Property and Carter Group, working with architects Woods Bagot and Warren and Mahoney, has been selected as the preferred development consortium. 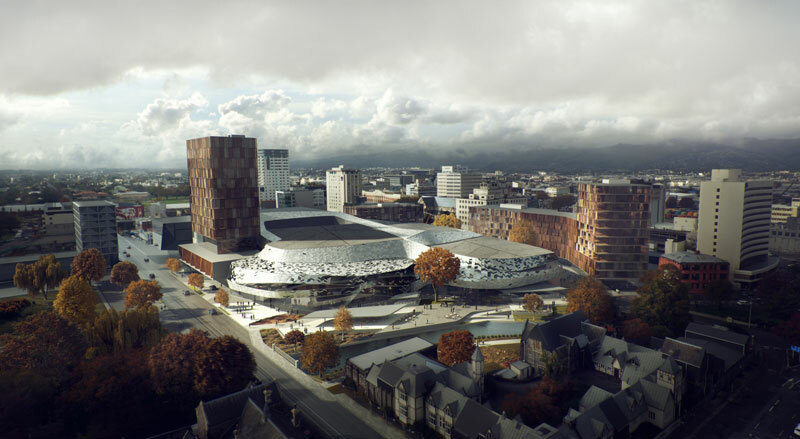 The Christchurch Convention Centre Precinct is a unique symbol for the city and its people and must reflect the identity of its place. It is also one of the few anchor projects as part of the Christchurch Blueprint that will be utilised on a daily basis by both Christchurch citizens and visitors and therefore must be meaningful to both audiences. “Woods Bagot is thrilled to be selected for this landmark project which will act as catalyst for the city’s earthquake recovery plan,” says Woods Bagot Director Nik Karalis. 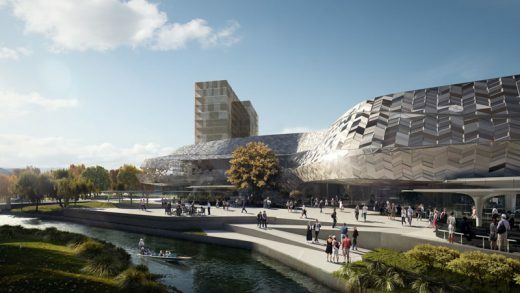 “This is a big milestone for a project that will provide a major boost to the economic heart of the rebuilt Christchurch,” Mr Brownlee says. The project is on track for construction to begin in 2015, and for the centre to be open for business in 2017.